Mayer Hawthorne ::: Ogden Theatre ::: 04.07.10. Photo by Julio Enriquez/Courtesy WikiMedia Commons. There are plenty of lessons to be learned from digging in the crates. 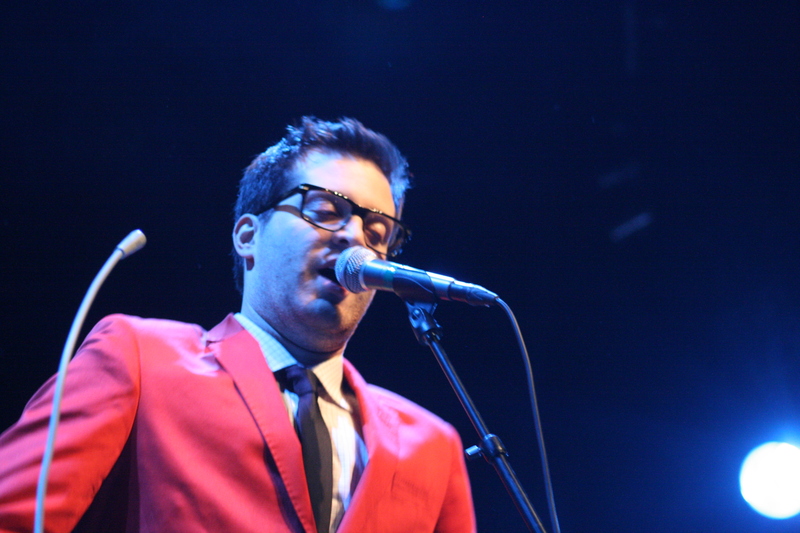 But few have applied those lessons as well in recent years as Mayer Hawthorne. Steeped in the classic sound of late 1960s and early ‘70s Motown as a kid growing up in Ann Arbor, Michigan, Hawthorne and his dusty fingers have walked into a sound that is at once incredibly familiar yet altogether new. In a headlining set at Bimbo’s 365 Club in San Francisco, Hawthorne and the County, his four-piece backing band, perfectly melded classic soul music with an obvious love for classic hip-hop and the timeless samples on which it is built. Hawthorne emerged out of the LA scene several years ago as DJ Haircut and crafted his debut album, A Strange Arrangement, as a producer’s stab at sample-friendly soul music. But while the album is full of timeless tracks, Hawthorne obviously gleaned something just as important from that era’s live performances: Style and pace. Throughout the crisp, highly entertaining set, even as his band wailed, Hawthorne was the picture of calm, never breaking a sweat. He didn’t need to—he’d already done his homework.